Have you seen all our brand new product releases in store this week? total gorgeness!!.. in the US TODAY! YES, TODAY! 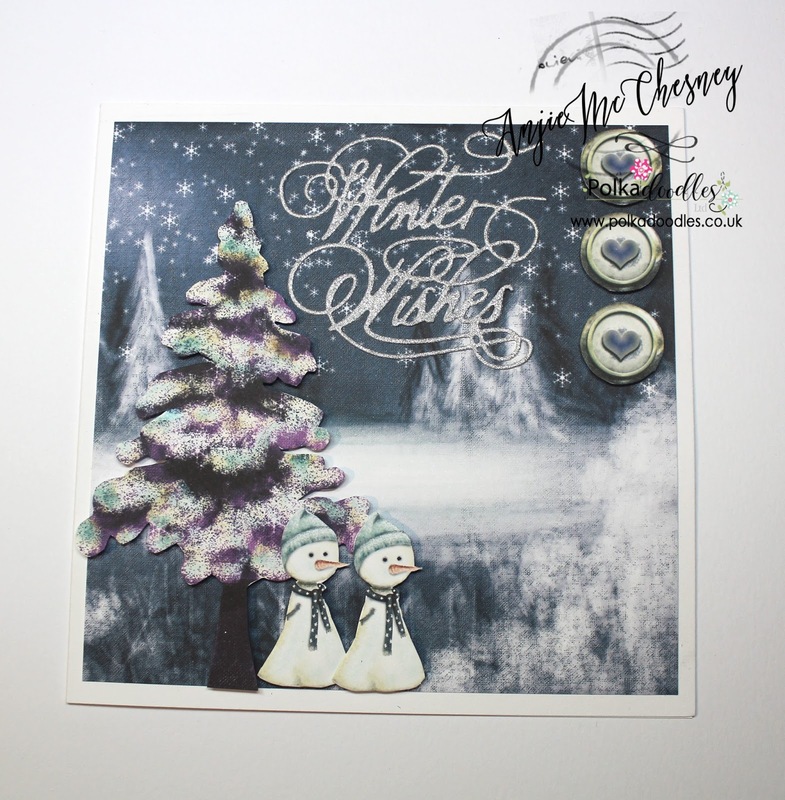 Anjie - For this card I've used the fabulous Octavia Frosted Winter collection. 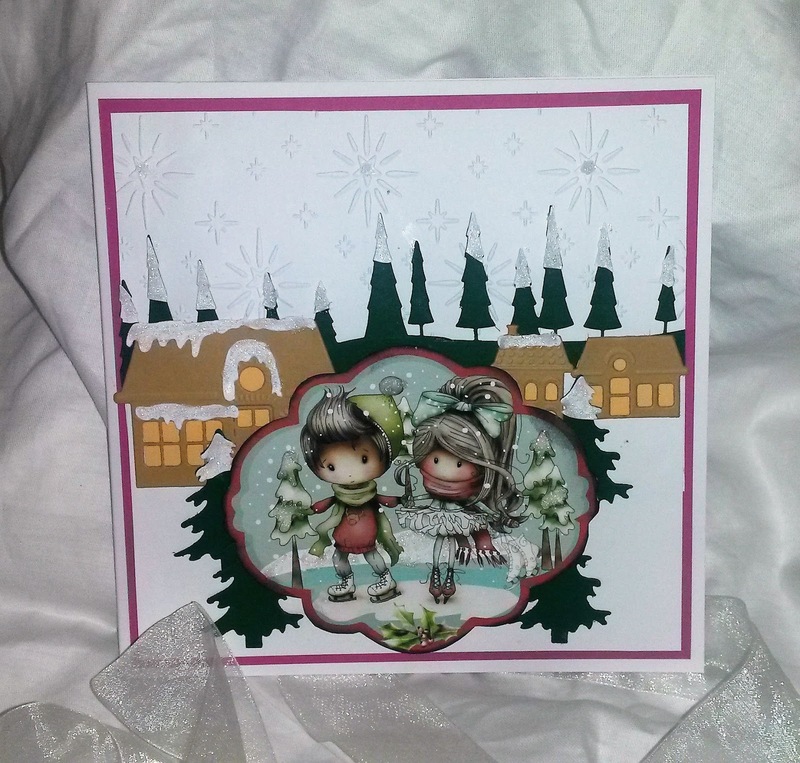 I've kept this card simple by using one of the scenes for the background, and cutting a tree, 2 snowmen and 3 faux brads. I've mounted them all onto 3D foam to make them pop. Julie - My make this week, is a last minute Christmas Present , a no glue mini mug, decorated with elements from Octavia Frosted Winter and Winnie Winter Land. Lori - For my card this week, I printed the pre-colored image and papers from the Winnie Winterland Big Kahuna Download collection and cut it out with a stitched square die, layered them on red and then simply popped it up. I kept it very CAS as this little coffee stand/winter scene had enough cuteness all on it's own! Jane S - I love this gorgeous Angelberry Hugs image, and who wouldn't need a hug on a chilly winter's day! 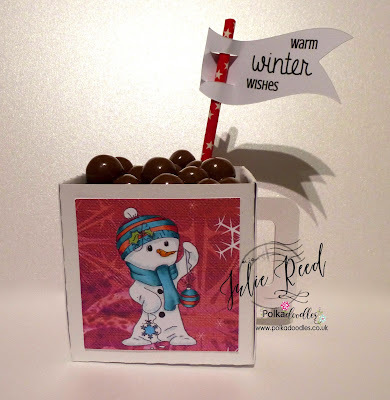 The papers are from Work & Play 5 Festive Hollybobs and I have also used some of the scrummy Polkadoodles Dies. Jane P -For my first card of the New Year I decided to use Winnie in Winterland Big Kahuna digital download collection. I also could not resists incorporating some of the wonderful dies Super Sprigs and the Ribbon/Gift frames & Corners. What else would you wish for on a cold winter day! Monica - When it comes to Winter I have had to use the adorable Octavia Frosted Winter, she is outdoors playing with her lovely husky, that by the way loves the snow. Please email us HERE quoting DCW002001 to claim your prize of £5 worth of downloads from the digi store! So excited to see I'm the winner, but I see not link in the 'here' position in which to email you. Do you have an email address I can use to contact you? Great DT samples. Thanks for the challenge.